Little was reported about the plans but the organizers said the boat would leave at 11:00 am (0800 GMT) on Tuesday to pick up patients with medical care, students and university graduates looking for work. 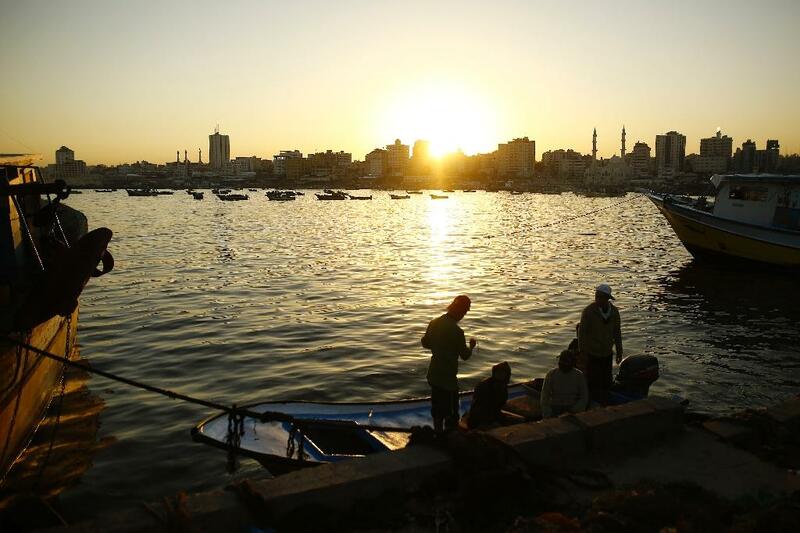 The boat also brings "dreams of our people and their quest for freedom," organizer Salah Abdul-Ati said in a press conference in the port of Gaza City on the Mediterranean coast. its destination was not disclosed. The off-the-beaten-boats are usually confined to six nautical miles from the coast, and the Israeli navy regularly fires warning shots at Palestinians who breach them. The boat would likely hit the Israeli forces for a long time. The plan comes before the eighth anniversary of Thursday's raid against the Turkish Mavi Marmara – part of a fleet of six ships that have tried to break the Israeli blockade and invade Gaza. Nine Turkish activists were killed in the operation, another died in hospital in 2014. Mass protests and clashes began on March 30 along the fence that separated Gaza and Israel. At least 119 Palestinians have been killed by Israeli fire since protests and clashes erupted, according to the Ministry of Health of Gaza. Ever since demonstrations began on May 14, when at least 61 Palestinians were killed when tens of thousands of Gaza residents protested against US troops, demonstrations along the border continued from his embassy in Israel from Tel Aviv to Jerusalem. Israel says its actions are necessary to defend the border and prevent mass incursions into its territory. It accuses Hamas, with whom it has fought three wars since 2008, to try to use the protests as cover to perpetrate violence. The Gaza Strip has been under Israeli blockade for more than a decade. Egypt has largely closed its border with Gaza in recent years, but opened it to the entire Muslim holy month of Ramadan.